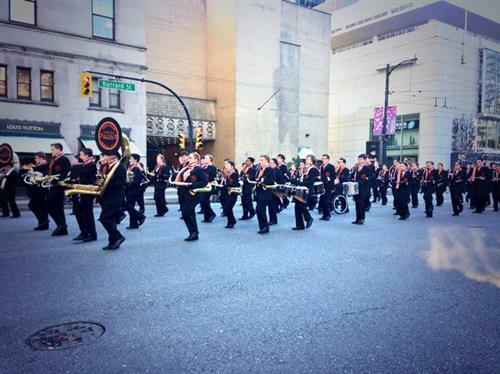 CTV Vancouver's coverage of the Grey Cup festival with Nicolle Hodges. It's like Bring It On in here! 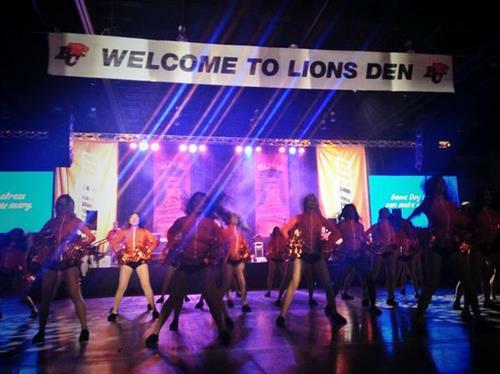 Argonauts cheer team performing in the Lions Den. Well folks, this concludes DAY THREE of the Live Blog. Since it's a Friday night, I anticipate that you will be posting quite a few photos of your adventures. 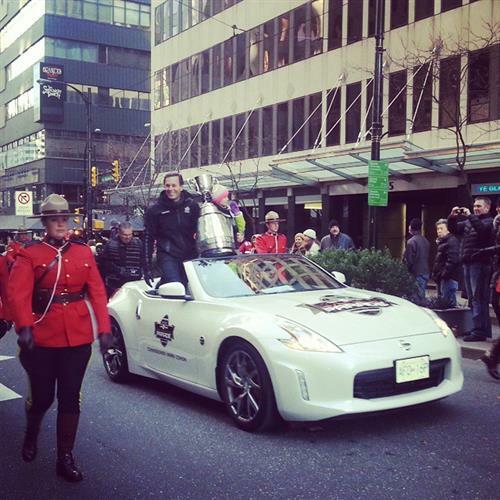 For that, I salute you, and all I ask in return is that you include the hashtag #CTVGreyCup. That's not too much to ask, right? Beer in one hand, phone in another. When I reflect on today, a few things in particular come to mind. First, we got to congratulate Solomon Elimimian on his big win right to his face (Most Outstanding Player). We spent time with our pal Crazy P - watch for his video message on the blog tomorrow. 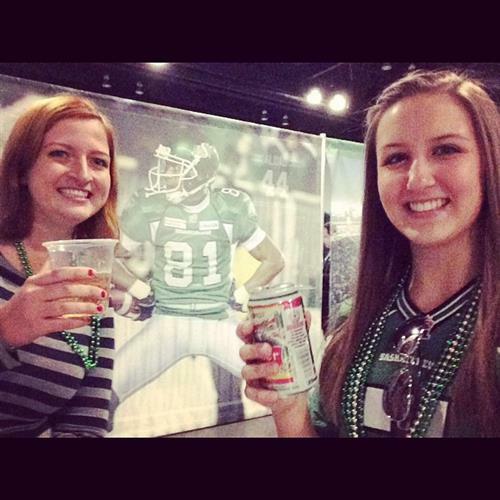 Then we attended the Manitoba Touchdown party where we encountered some of the best dressed fans of the festival! We went to Cactus Club for lunch, and we ate a lot. I'm talking coffee, meal, coffee, dessert, coffee. From a hungry journalist, to a happy journalist. 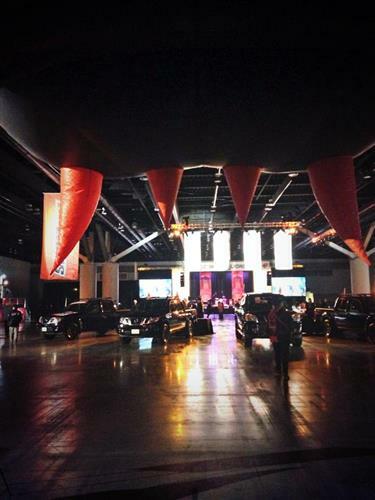 Finally, we finished off the day with the BC Lions Den Party...and what happened there stays there. Okay, no it doesn't...the photos are below. At the end of it all, we realized that when it comes to the CFL, there is a sense of inclusivity and camaraderie amongst attendees. Did I just say attendees? I mean the wild, wacky, weirdly-dressed and absolutely bonkers assortment of humans gathered in one place with one thing in common: they love football. I'm sure I need not remind you that tomorrow is Saturday, and that means we are officially one day away from the BIG GAME, emphasized by the big letters. It also means that I'm back on the ground, in the eye of the tornado, in the centre of the volcano, in the midst of the madness, in the...okay, you get it. I'm bringing you all the behind-the-scenes action you crave, just like you crave that second hot dog. I'm here to tell you that I encourage you to eat your heart out, party your pants off (figure of speech) and explore every inch of the Grey Cup Festival. 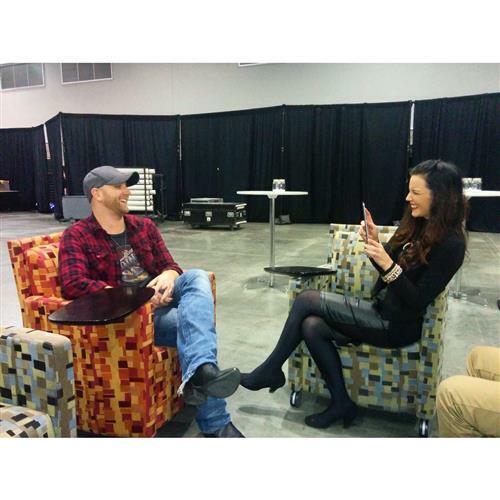 Tim Hicks laughing, that is all. Wow, thanks for the old pic! 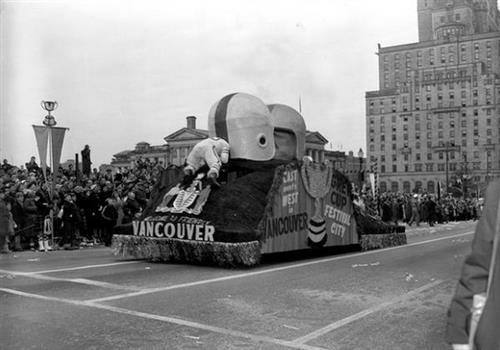 The Grey Cup Parade 60 years ago. That's quite the view, if I do say so myself! 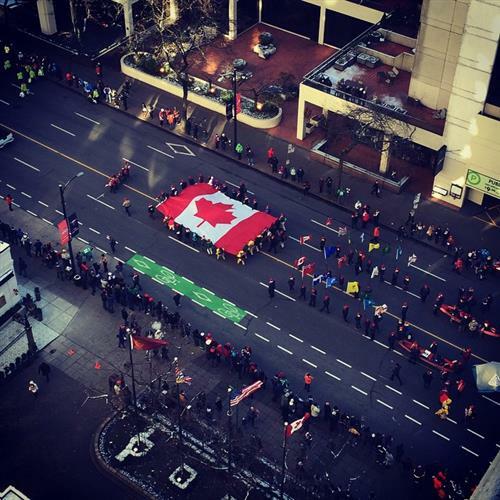 I can see the Canadian pride from here! If this photo is right then I don't want to be left. Orane, I would like to formally congratulate you for capturing this moment in time...forever. INTERVIEW: Head of sports for Twitter Canada, Christopher Doyle, to discuss how Twitter is provoking conversation and what Canadians are talking about leading up to the Grey Cup. 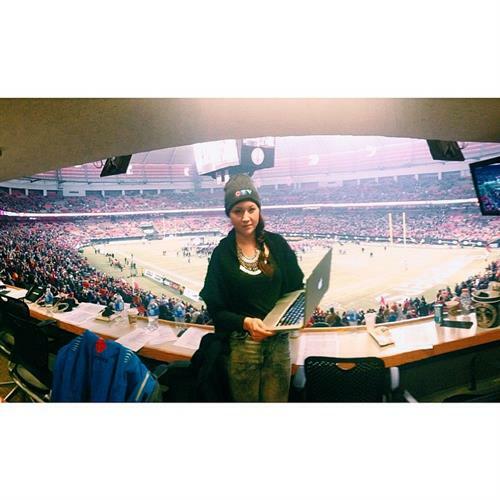 Q) Talk to me about the social media strategy surrounding the Grey Cup. 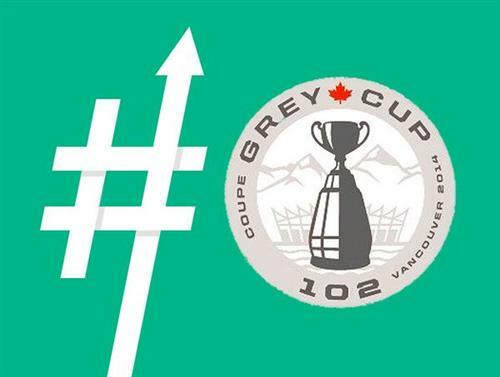 A) I think that in partnering with the CFL, the plan is to give people the opportunity to join the conversation using the hashtag #greycup. It’s giving them the ultimate second screen experience, meaning that they get tons of behind-the-scene videos and photos. 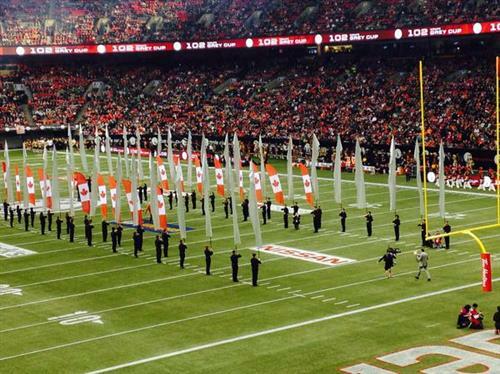 Q) What are Canadians talking about Grey Cup wise? A) In the days leading up to the Grey Cup, not surprisingly, a lot of the chatter is on the two opposing teams and their players. What’s exciting for us is the Twitter mirror, where we have players engaging with fans and taking selfies, and that does really well in terms of engagement. Other than that, the conversation has been about many of the CFL players, the upcoming game and the overall celebration. 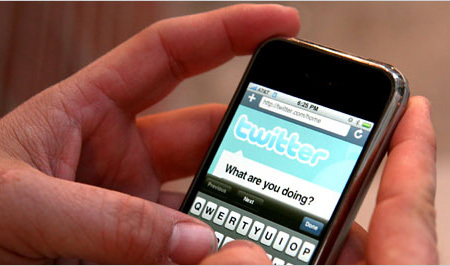 Q) How is social media changing the way that people are viewing sports? A) I think that it's changed the experience by becoming the ultimate companion to watching live sports. 95% of all social conversation surrounding live events are happening on Twitter. People are following along by searching for what fans are saying and that is creating a collective experience. Fans are able to connect with players and teams, create a personal relationship with brands and get complimentary content during a live event. 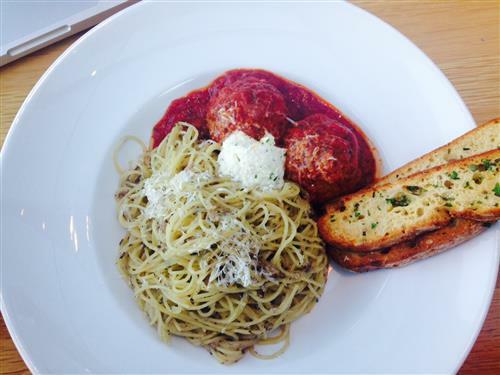 It's my second day eating at Cactus Club and this time I went for the spaghetti and meatballs. Yes, I will eat it all. I vote this photo for the next cover of Time magazine. DAY FOUR of the CTV Live Blog is complete, and here we stand on the precipice of the biggest day of all...Grey Cup Sunday and the moment you've all been waiting for. You have come a long way since Wednesday. Your costumes gradually became more absurd, your beer consumption regiment began earlier, and your roar became significantly louder. I saw you, I heard you, and I felt your energy, oh great CFL fans. So, I captured a moment of your life to put on this blog and for that I thank you. Right this minute, when I look around, I see the almighty colours of yellow and black that is the war paint of the ferocious Tiger-Cat. Then, the flag of the Calgary Stampeders blows in the breeze near the harbour, with its determined stallion emblazoned in red and white. We have a battle in our midst and the day of decision is tomorrow - are you ready? 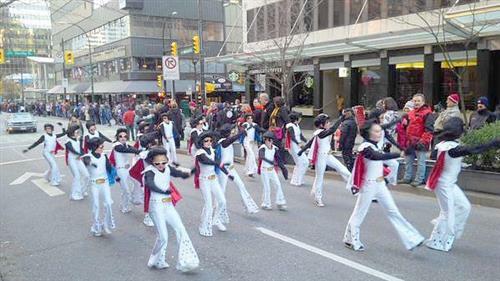 Today you experienced the Save-On-Foods Grey Cup Festival Parade, where you felt the icy chill of a Vancouver morning mixed with the thrill of song and dance moving down Burrard Street. Then you joined me at the Cheer Extravaganza where women and men gathered to shake their pom-poms, flip, twist, dip and dance their way to glory. Afterwards, we spoke with head of sports for Twitter Canada, Christopher Doyle, on how Twitter has changed the experience of watching a live sporting event. That interview is below. 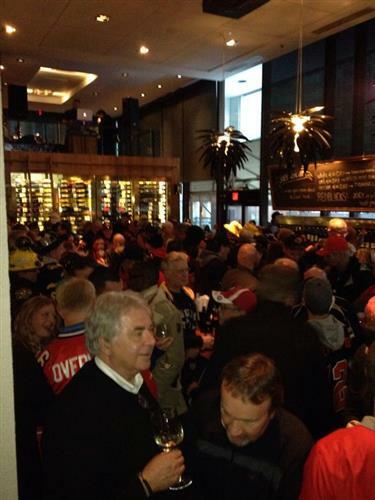 You don't have to be a football fan to enjoy the Grey Cup, I think we know that much is true. 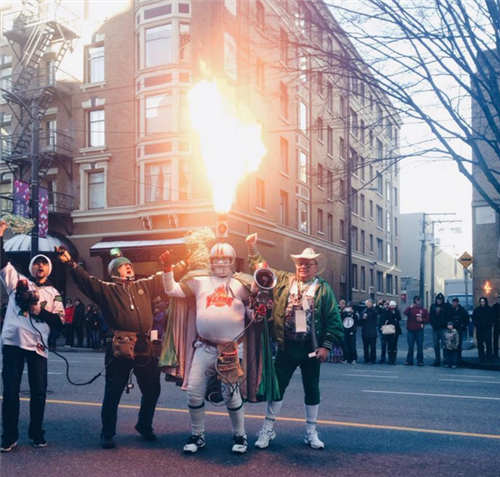 Tomorrow on the blog I provide you with a survival guide on how to make it through the Grey Cup game without making a fool of yourself. But Doyle was right, there is so much social engagement online that feeling involved is no longer exclusive to die-hard fans. Show me what you've got: the food you've made, the costumes you're wearing and all the ways that you are showing your support for the game or the festival. There is one day left and I want it all. 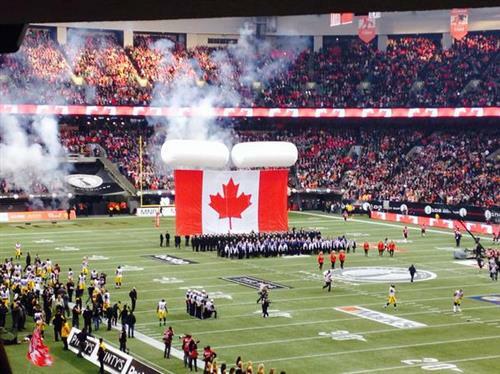 The Hamilton Tiger-Cats and Calgary Stampeders face off at 3 PM at BC Place Stadium in Vancouver for the 102nd Grey Cup Championship game. It's also the fifth and final day of the CTV Live Blog, but we'll address that later. 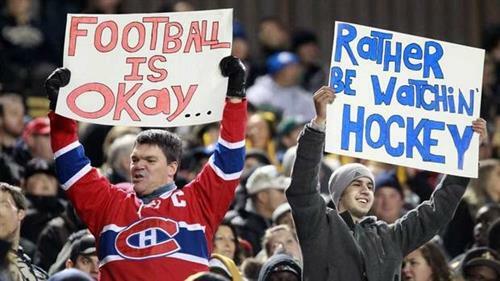 There are two types of fans out there when it comes to sports: fans for life and fans for the moment. Luckily, the Grey Cup is about more than just a game of pass the pig skin – it’s a spectacular festival complete with tailgate parties, vibrant performances and a halftime show by one of the biggest names in music: Imagine Dragons. Not only does it bring people together from the farthest reaches of the country, but it also attracts people who don’t even watch football. That person may be you, and I'm glad you're here. 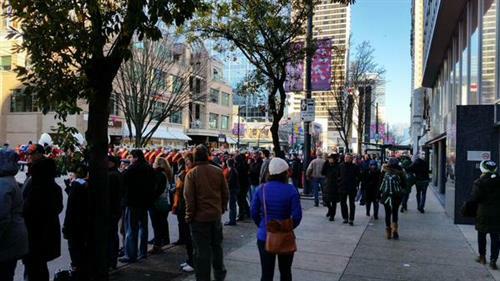 The Grey Cup Festival began Wednesday, and the big game is taking place in our beloved city on Sunday, so escaping the pandemonium remains impossible. And it's far from over. Fear not, this is your guide to surviving game day and the mayhem in between. It will prove especially valuable if you don't understand football. Let's start with the basics, this is the OTHER kind of football. I know that soccer thing can be a bit confusing. Moving on. 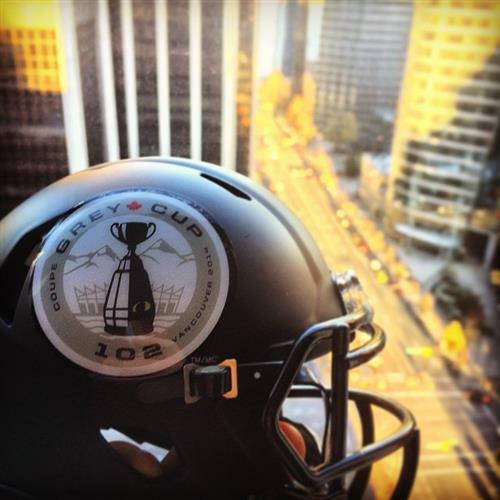 The first rule of getting by is knowing what's going on, so add this to your verbal artillery: the 102nd Grey Cup is on Sunday (that would be today) when the Hamilton Tiger-Cats face off against the Calgary Stampeders at BC Place Stadium in Vancouver. Some could leave it at that, but the daring will read on. Putting the “war” in wardrobe: This is a battle, and there is no better way to non-verbally pick a side than by wearing the right colours. 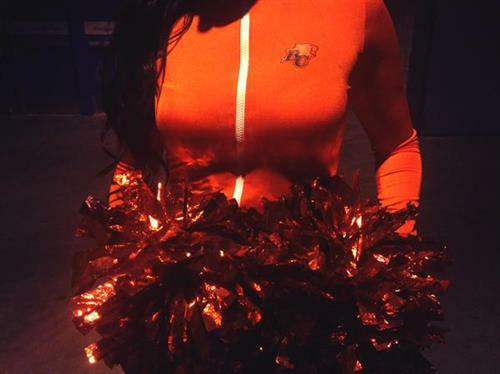 So here is the big question: even though the BC Lions didn’t make the championships, since the Grey Cup is hosted in Vancouver, isn’t it okay to wear their team colours? The answer is no. Let me put it this way, if you’re asked to choose between apples and oranges, you don’t choose bananas to show your loyalty to bananas. 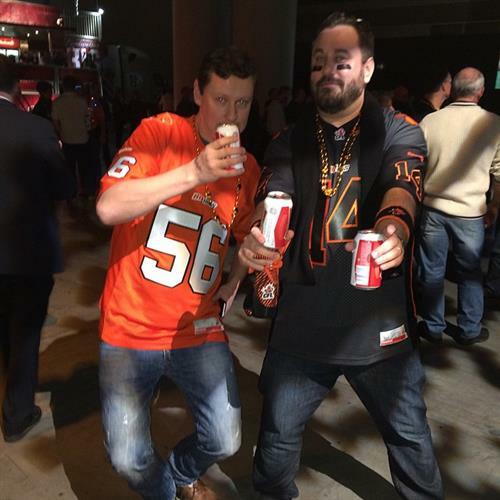 The BC Lions didn’t make it this year, so choose between those who did. Understand the appropriate chants and WHEN it’s appropriate to yell them out. Popular chants include: de-fence and first down. Make sure to stand up from your seat to physically display your anticipation to onlookers (second downs, final drives). It's always OK to jump and cheer, but you should probably sit back down after the play. You can’t go wrong with a beer and a hot dog. Know the significance of the game and understand the gravity of the moment for both teams – if one loses, it’s all over, while the other gets to celebrate a championship victory. Do not use your phone during the game, especially in those pivotal moments. Another fan will instantly call your bluff if you’re taking a selfie during a vital drive in the fourth quarter. If you follow these simple rules you may be able to conceal your conditional fandom. If all else fails, claim you're American. The coin toss was won by the Tiger-Cats. The game is over and so too are these updates. After a photo of a football player riding a horse became a reality on this blog (see below) I refuse to post anything afterwards but a closing note, so here it is. It has been a pleasure capturing your crazy behind-the-scenes shenanigans. Thank you for letting me into your parties, into your homes (via the internet) and into your minds. You told me how much you love the CFL, both verbally and non-verbally. Some of you told me through the use of coloured wigs and crazy face paint, while others sloshed your beer my way and proclaimed "Go Stampeders." 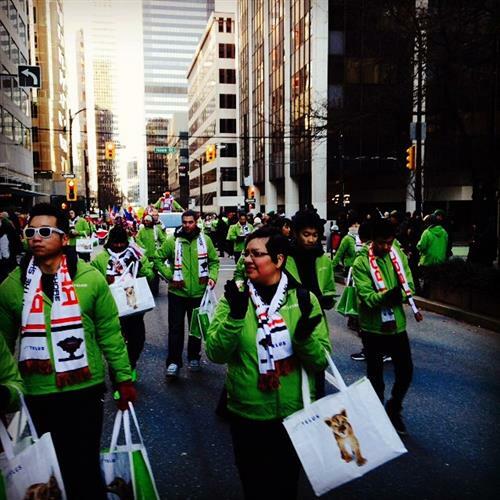 You marched the streets of Vancouver in your yellow and black, your orange and black, your green and white. Now, the field before me is strewn with red and white confetti, red and white jerseys, and red and white players. 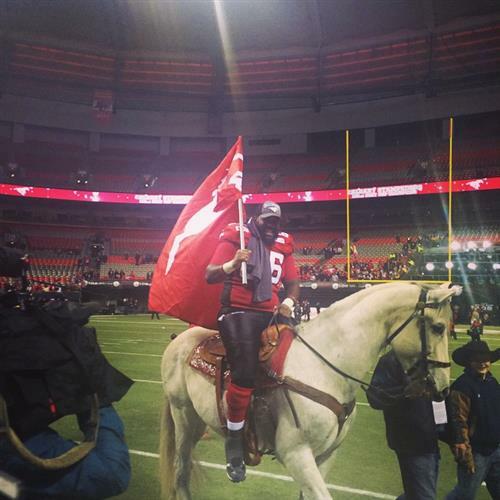 That can only mean one thing...congratulations to the 102nd Grey Cup champions - The Calgary Stampeders. You have found your victory here in Vancouver. You brought your own colours and your own flare to this city. You lit it up night after night and then you let me post your pictures. 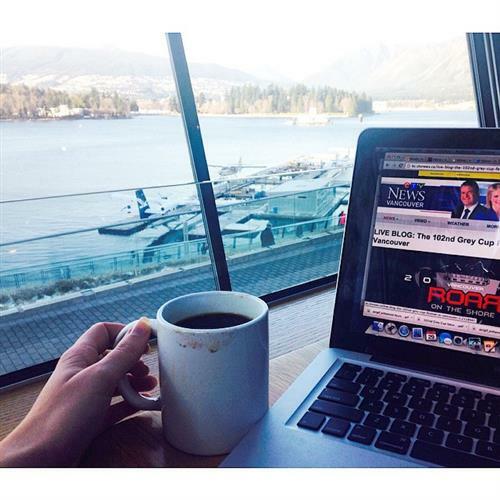 Hosting the Grey Cup live blog for @ctvvancouver has been a rush! From fan engagement, capturing a true "behind the scenes experience" and interviewing Canadian artists @heyoceanband and @timhicksmusic I definitely learned a lot. Thank you to those who followed my online journey!